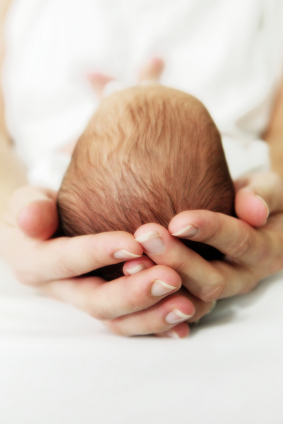 Once you go caesarean section, should you go VBAC? Some women may judge a mom who's just had a caesarean section (thinking she's "too posh to push"), but I'm proud to say I had one... and then another. I wouldn't have chosen it that way from the get-go, but once I had one I made the decision to deliver my second child via caesarean section versus trying for a vaginal birth. Here's why. So, here's me, nearly five years ago: My water broke in the wee hours of the morning three weeks before my due date. My husband rushed me to the hospital, I was induced with Pitocin and spent the next 12 hours in labor, waiting for my cervix to dilate. And it did -- finally, and little by little -- but then it retracted. By this time, my OB-GYN was getting concerned about getting my baby out. I hadn't even started pushing yet and we were closing in on 20 hours since my water had broken. So I pushed. And pushed. For two hours. And my baby wasn't going anywhere -- he wouldn't fit through my pelvis and my cervix was still retracting. My OB-GYN sent everyone out of the room and spoke to me in private about doing an emergency caesarean section. I shed a few tears, tossed my dreams of having my baby "the normal way" out the window and was wheeled into the surgery room. Minutes later, my husband and I were shedding more tears -- of joy -- as we held the most precious treasure: Our son. Just 14 months later, my husband and I sat in my OB-GYN's office after he'd confirmed we were indeed expecting our second baby. My head began to spin as I thought about going through labor again only to have to resort to a caesarean section. As my due date approached, I realized my concerns (aside from my baby's safety, natch) came down to feeling the need to have a vaginal delivery, to feel as if I'd "earned my stripes," so to speak. About six months into my second pregnancy, I forgave myself for having my first caesarean section. And I gave myself permission to have a planned caesarean section for my second birth. It was scheduled, it was easy -- compared to the 20 hours I spent in labor with my first child. But the satisfaction of holding my sweet baby girl was no less significant. In fact, I realized as we locked eyes for the very first time, it didn't matter how she'd arrived. She was -- she is -- here.